I always wonder why hotel breakfasts are so expensive. Some five-star hotels offer their breakfast for as much as 50GBP per person. I mean seriously how much do you have to eat to make this worth it? Unless of course it is part of your membership or included in the price which I think it will be a great idea if more hotels started doing this. Many hotels now are offering room-only options and charging extra for breakfast and sometimes this option is very expensive especially if you are a family. I can’t see many people paying almost the same price as their room-rate just for breakfast. I really don’t think we need such an opulent buffet option either for breakfast but I guess I am happy with a coffee and toast. So what can you do to halve your breakfast bill if you don’t want to order from outside or pay the ridiculous price for little food especially if your 8-year-old doesn’t eat that much to justify the cost? Well, recently my favourite option has been to order room service breakfast. All hotels have a room service option, not sure how many of us actually go through the menu but for breakfast, they do have some great choices. 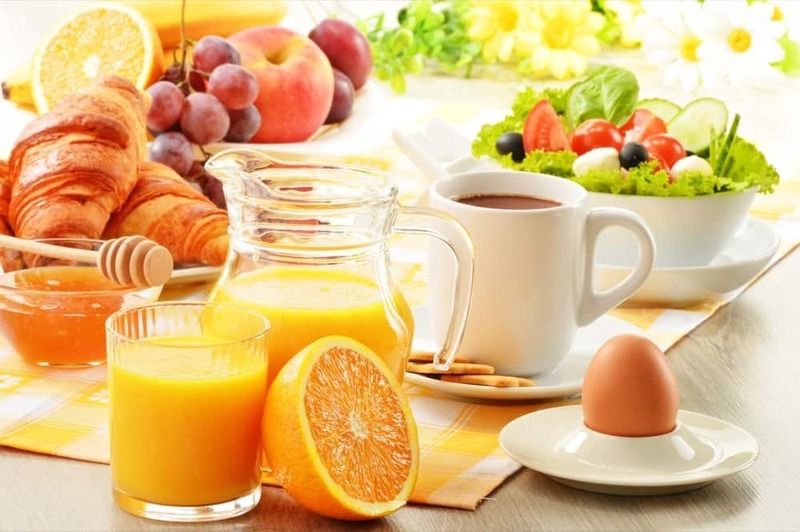 You can pick American, Continental breakfast or English which are the usual choices in Europe. The best part about ordering breakfast in your room is that the portions are usually very generous, so this breakfast for one can end up being breakfast for two or tree. 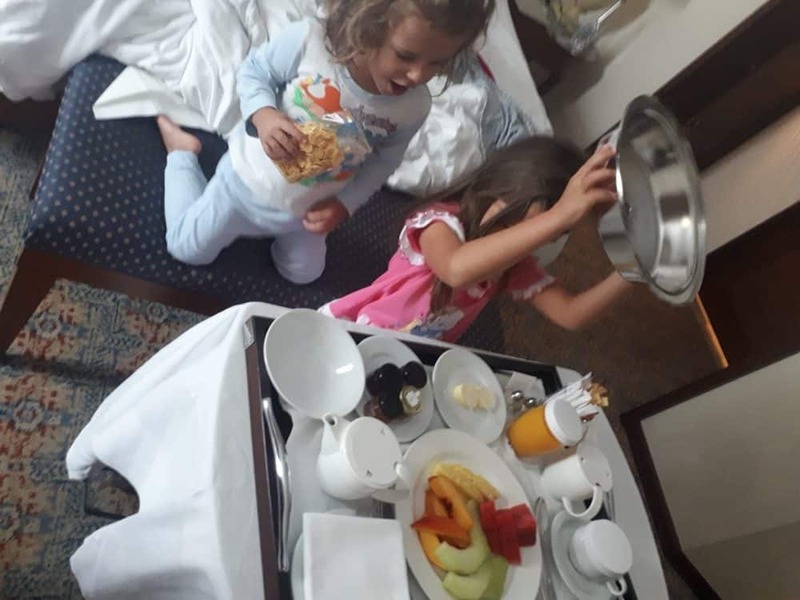 It is not the first time I opt for ordering breakfast in bed but recently we stayed at the Hyatt Regency Thessaloniki and breakfast was 20€ per person for 4 of us this is 80€ almost as much as a room for the night. Considering that my nieces are 6 and 3 and they don’t eat a lot paying 40€ for them to not have any breakfast was not my keenest idea. So I opted to order room service breakfast, and for an American breakfast we had everything in the continental option (croissants, bread, spread etc.) plus eggs, sausages and more, the total cost of this was 20 euro including coffee. So there is my tip, if you find yourself with a room-only option and with a breakfast price of a dinner consider opening the service room menu and find the breakfast options they have. You are most likely to find them reasonably priced and much better value option. What are your hotel breakfast tips? This is such a great advice! I will try this next time when at hotel. Thanks for sharing! I had never ever thought of ordering room service I too thought that was expensive! Most places I stay have breakfast included but this is actually a good tip for a lot of UK hotels that are becoming a bit outrageous in their prices. Definately a great tip if sharing a room.